And thank-you for visiting Toronto Roofing Industries. We are primarily a residential roofing contractor. Over time our focus has grown to include commercial flat roofs and larger shingle type jobs such as townhouse complexes. 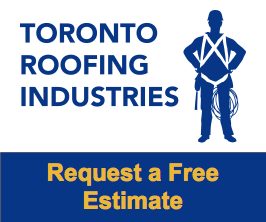 We are experienced with a wide variety of roof systems and have completed literally thousands of roofs throughout Toronto and the GTA. Our services also include roof repairs, siding, eavestroughs, masonry, skylights and aluminum. We are very much a hands-on company that takes a very personal approach in everything we do. You will always find a live and caring voice to speak to during business hours. If we miss a call, you can rest assured your call will be returned promptly.